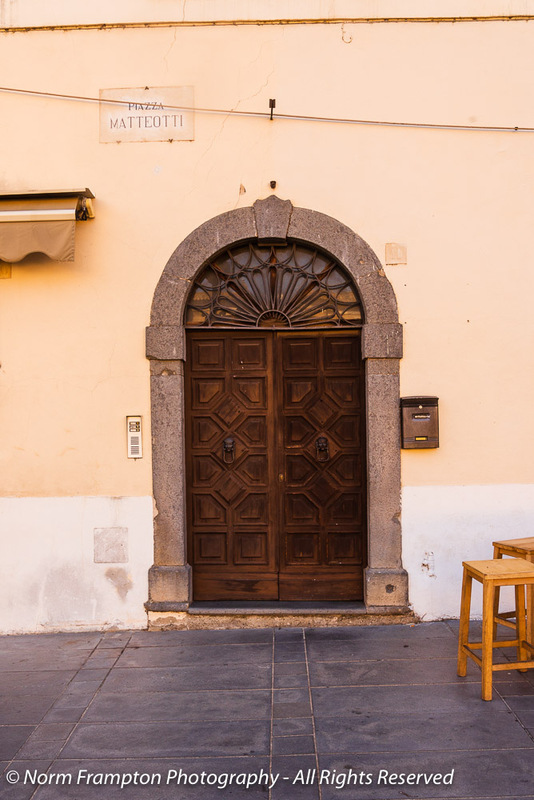 After we left Amalfi, we took the train north to Orvieto to meet up and spend a few days with the unofficial Queen of Italian Doors – Manja over at Manja Mexi Moving – (psst, if you’re not already following her new blog, you probably should be). 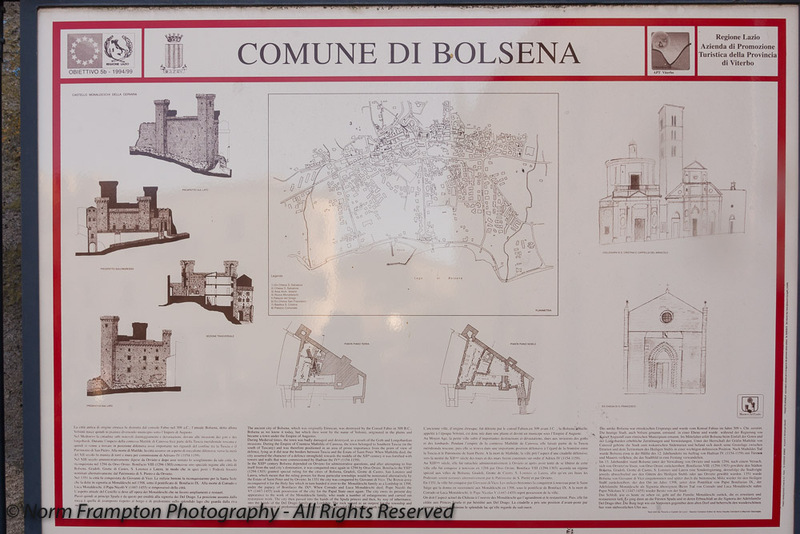 we then headed about 1/2 hour east to the lovely lakeside resort village and commune of Bolsena. 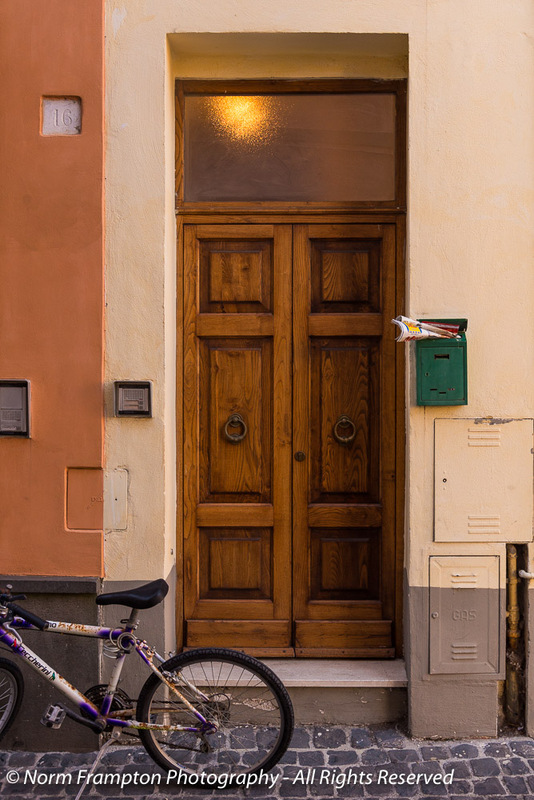 From the moment we got there I found so many gorgeous doors that at one point I was afraid of giving myself whiplash from snapping my head in various directions to admire yet another beauty. If some of these look at all familiar I’ll apologize in advance, it’s just that Manja may well have already photographed and posted some of them herself on her blog as well. 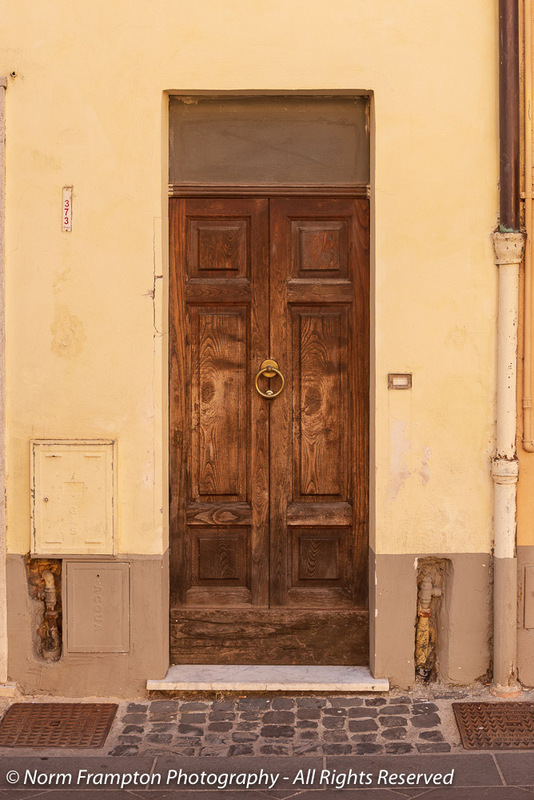 Being that this was only our first afternoon with her, and knowing that we were on the way to but had not yet even arrived at her place in Tuscany, I was quickly coming to the conclusion that these next few days were going to be quite special for door discoveries. Not that I had any doubts beforehand of course, it’s just that being there live and in-person and soaking it all in, it really hit me: I was truly in door heaven! In fact at some point during the trip I invented a new word that we all adopted, to describe that overwhelming feeling of joy stemming from too much door pleasure. 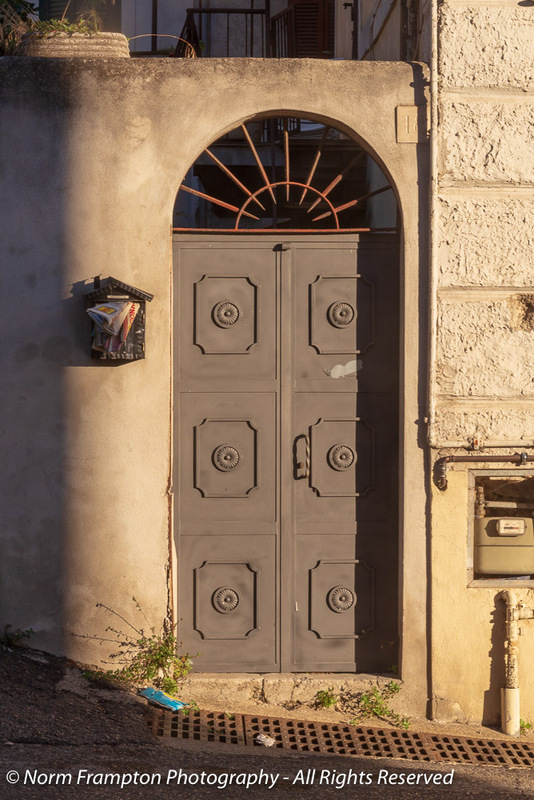 With so much historic architecture and so many unique doors found in all the little towns and villages in this part of Italy you really can’t go wrong. Oh yeah, the food and the vino are pretty good too. Wood doors with stone surrounds and intricate fan lights are just beautiful. Thank you, Norm. I do love train travel. 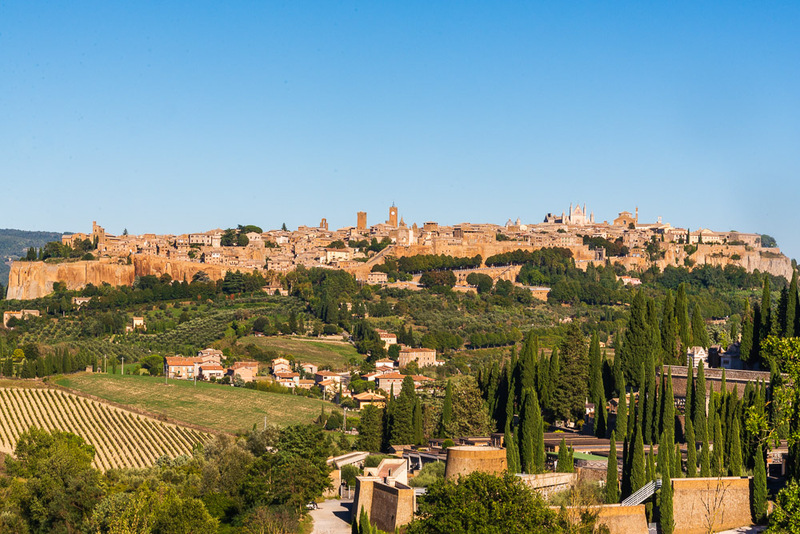 The landscape of Orvieto is breathtaking and the doors are incredible. I can understand your smile! Love the doors. I really like the rope columns too. 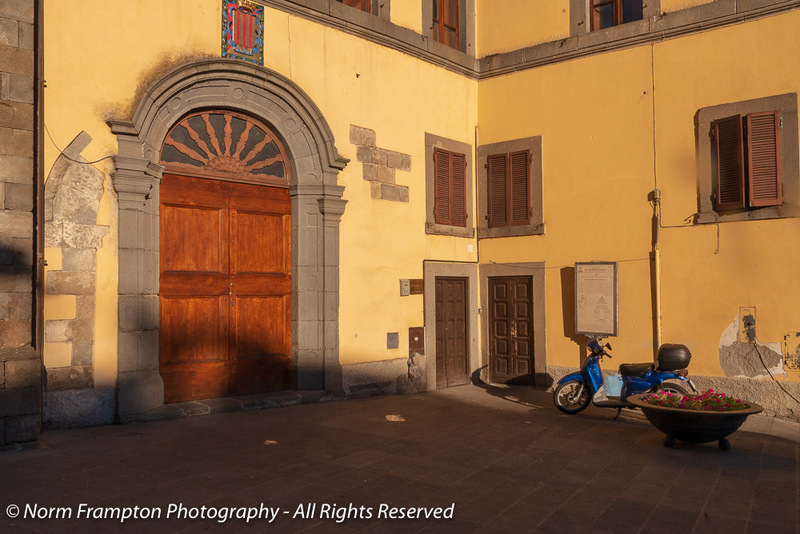 Once you photograph anything in Italy you are truly hooked! Beautiful doors, but my favorite is the greyish one fourth from the bottom. It looked so nonchalant and gorgeous at the same time, just daring one to ignore it! I have a question about the LinkedIn. Am I the only one that gets advertising now (for a minimum of five seconds) before I am linked to another site when I try to look at all the other posts? It is SOOOOOOOOO annoying! And today I was linked to 3 blogs that stated no post found at that site! It never used to be this way, but it is now! This would deter me from ever using LinkedIn. Please let me know what’s going on! Yes Inlinkz has started showing 5 second ads before taking you to the requested site. Yes it’s annoying. I’m trying to find another link-up generator that’s also easy to use, but it seems that pickins are pretty slim out there. Depending on the cost I may just upgrade to the paid version in order to avoid the ads..
As for broken or non-functioning links, that is totally on the user. Some people mistakenly copy their URL link while their post is still a draft, not realizing that the URL changes when the post goes live. Others invert the Name field with the URL Link field. I try to fix them when I can (fixed 2 earlier) but sometimes I can’t find the original post. In those cases I advise the user and give them some time to fix it before I delete the link. Thanks for reaching out on this. Concrete suggestions for improvements are always welcome. Frankly even though many others use ping-backs this way it is not my favorite option. I prefer to keep links and ping-backs out of the comments section. It’s easier for me to manage and it keeps it clean and less time-consuming for me to follow. At least with a link-up list all the links are easy to find and in one place. I started it without the link-up list originally and it was a mess. Some people would put their links in with their comments, others used ping-backs, and others did both, meaning I’d waste time inadvertently visiting the same post twice. We have a lot of newbies lately who are not sure how it all works so I’ll probably do a refresher How-To post soon. Hopefully that will help. PS last week there were 334 comments on his SOS site with ping backs! Yikes! Yes, very difficult to manage. Doorgasm! That really gave me a laugh! Lovely doors this week. The sad part is that when you come back home you realize how boring our doors are in comparison. I love the 2nd last one with the cannonballs out front. I love the little round features added to the door. All that glorious warm light!!!! Yes indeed. I was able to get quite a few really nice golden hour shots during our time there. Such a nice variety of doors! 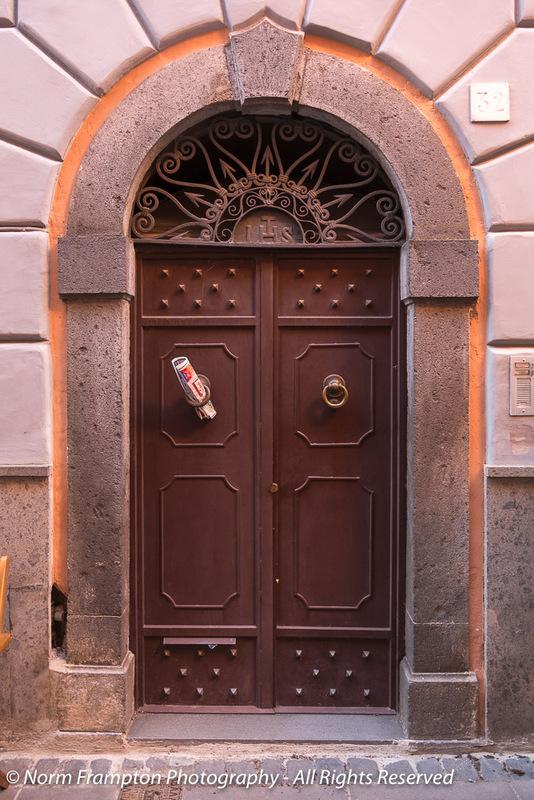 Italy is indeed an endless source of beautiful doors. The head snappin’ whiplash and doorgasm… your body had a workout! 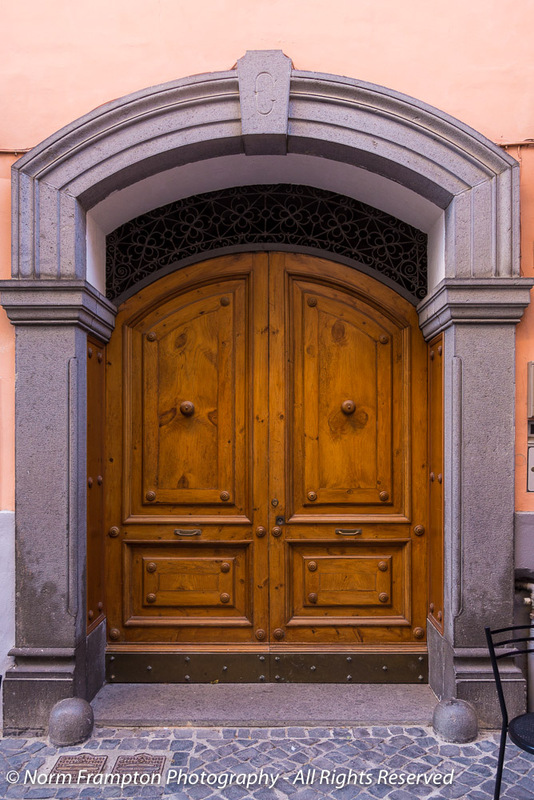 Beautiful doors and architectural detail. 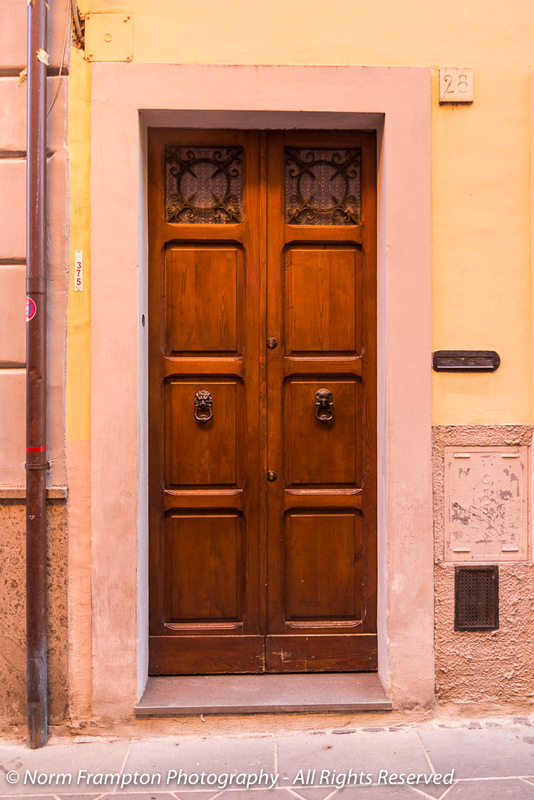 There’s seemingly no end to the beautiful wooden doors of Italy, and then there are the others, not wooden, still beautiful! And here I thought this was a family-friendly blog… But, I have to admit, I enjoyed the multiple doorgasms in this post! Looking forward to Part 2! Hey, if you’re gonna have one then you may as well have multiples, right? 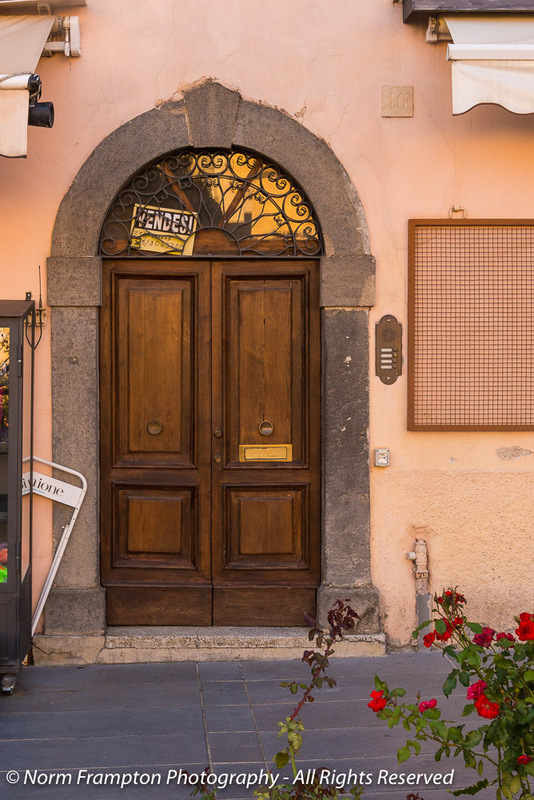 Kidding aside, I’ve never experiences so many great original doors in such a relatively small area as I did visiting the small towns and villages in Italy. Lol! Too many of those doorgasms and we’ll have to make up a new term: nyphodooriac. Looks like you got some wonderful lighting. Ha ha ha. . . . doorgasm. Brilliant new word but I can see why the place had that effect on you – gorgeous doors. Love the shot of the rolled up newspaper tucked into the knocker. Thanks Jean. Yes the newspaper shot is one of my favourites from this batch. Thank you for sharing this wealth of beautiful workmanship on these doors! Enjoyed all of them:) It’s not fair that some countries have all of the, eh? Oh, me, oh, my, what wonderful doors! What wonderful arches! Oh, how I miss that killer golden sunlight of Italy, and I was only there for a few days. Thanks for the memories…. Yes that light is just wonderful, especially in the late afternoon. You made me laugh! At first I thought the sign beside the theatre (crown) was a bag of popcorn! By the way, your link on the link-up list is not working and I couldn’t find the post on your blog to fix it. Care to try again and I’ll just delete the first one? I came over from Jackie’s “Junk boat Travels”. Great collection of doors. I too love doors and have lots of photos. Will join you sometime once I’m done with my Philippine trip posts. Yes do feel free to join in whenever you’re ready. We meet here each week between Thursday and Saturday – the more the merrier! The metal grillwork on that arch above the 3rd door is amazing. I love all your photos, of course… but that one is the best, I do believe. I loved the little details, especially the newspaper threaded into the door knocker. Thanks. Yes I just had to capture the one with the newspaper. 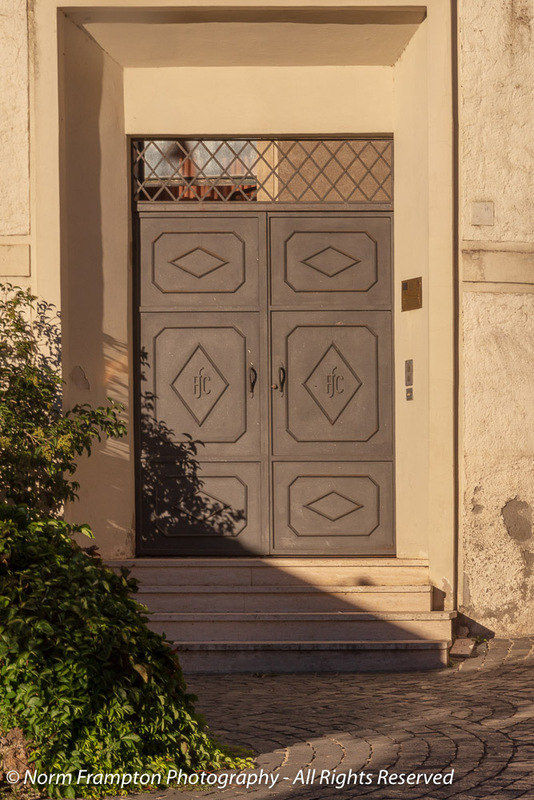 What a stunning series of beautiful, historic doors. The Italians certainly have a sense of style! Speaking of which, I bought an old Alfa Romeo 159 last week after our car was written off and it is so stylish and has these little details like the wheels, which make owning and driving it a joy. I didn’t go on a doorscrusion this week. Rather, we went to see our dance teacher star in Charlie & the Chocolate Factory – the Musical in Sydney and a really special moment was seeing her afterwards at Stage Door. I’ve never done that before but it was a lot of fun. I ended up doing a bit of research about the theatre which was interesting too. Had no idea about any of it. When I posted a photo of myself in the red Alfa on FB, one of my old uni friends responded that he didn’t think I was into cars but this one really does make me feel on top of the world and that Italian styling goes a long way. Doorgasm – a great word! Seeing these makes me more determined to get back to Italy ASAP. Wonderful. 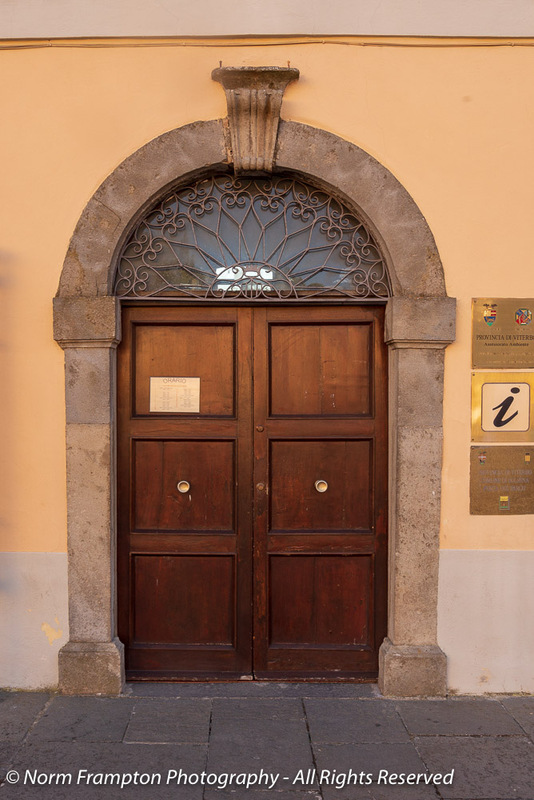 Wonderful doors! I like the ones with arches above. Norm, those are some great doors! Thanks Sheree and welcome :-). Glad you were able to join us this week and last. Feel free to join in any week that you have doors to share. By the way I went over and commented on your post today and last but I think my comments were eaten by the WordPress spam filter. You may need to go to the comments section in your WP admin dashboard and release me from spam prison. Sorry, I don’t know why this keeps happening to me. That photo with the blue bike! American Italian restaurantuers strive for that look. Must’ve been so intense in person. 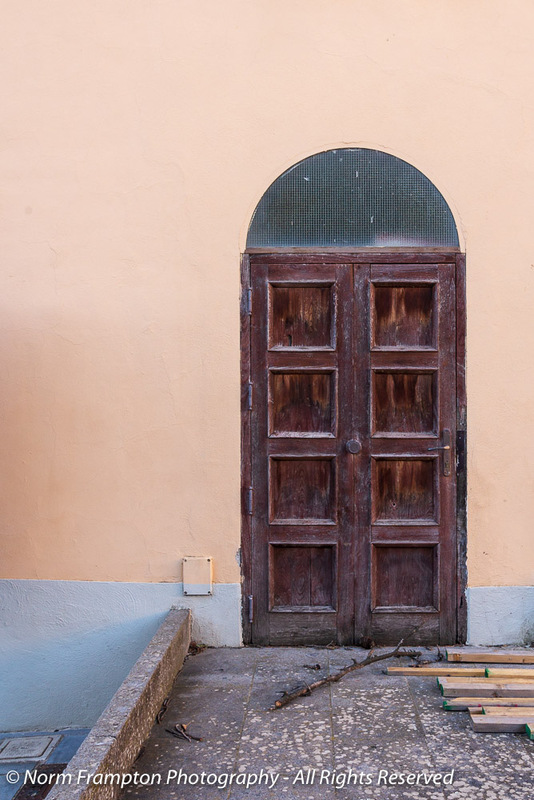 That weathered, slightly crooked wooden door at the top is very hard to beat. I knew there were going to be a lot of good ones, but that was a great start. And, there it is, just after the introduction of the word of the day, the arched door, topped by an matching arched transom light – done! I don’t think there’s any penalty for showing doors that other’s have posted. We clearly inspire each other, and who says you can only see a door once? Thanks Dan. That crooked one is my favorite from this batch. 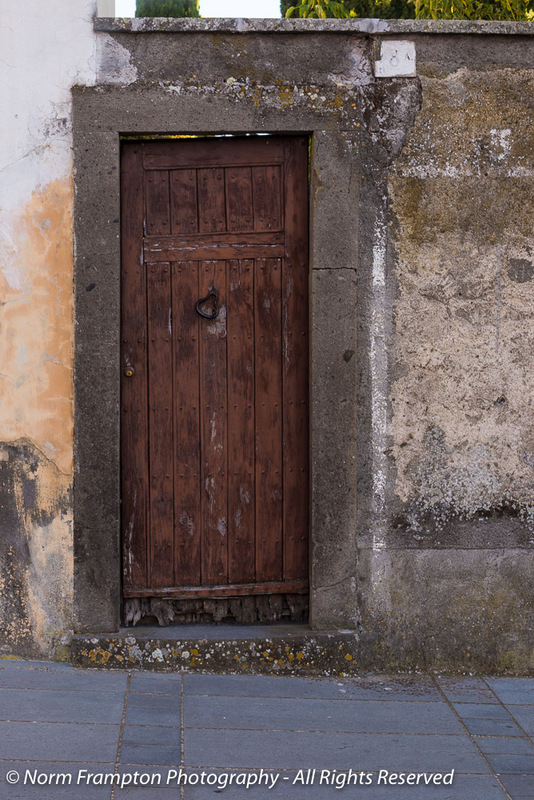 It’s just crazy there; every little town is full of charming doors. Love the newspaper rolled up and left in the door knocker! Yes that shot is a classic. Hihihi, what a fun post! You tell it and show it just how it is over here, a doorgasming door heaven! Good that I finished smoking 12 years ago too! 😉 Thank you for recommending my blog and all the nice words. 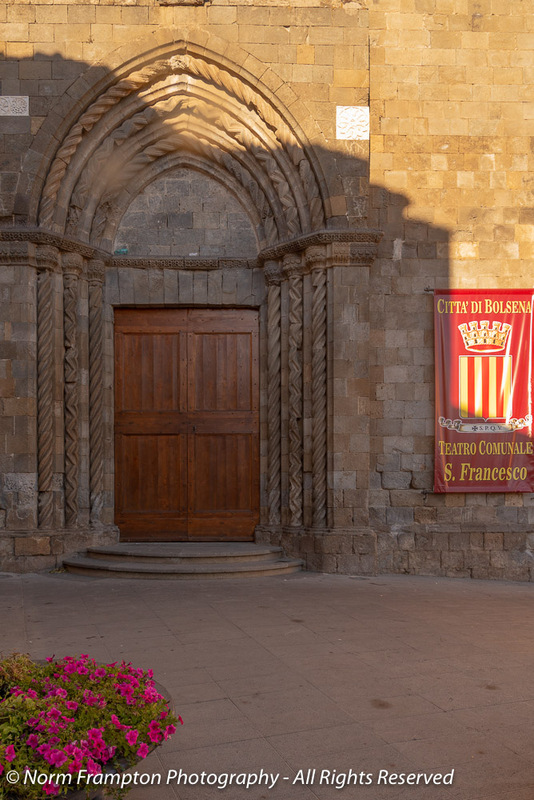 I haven’t done a door post from Bolsena yet but I might have showed some of its doors in that Normie post. I specifically remember that you took a photo of one door beauty for me, do you remember that? It was a bit higher up from where we parked and I didn’t reach that place later but you said you got that door. I wonder which one it was. One of these perhaps? As I look at your photos, all doors are beauties and they just keep on coming, exactly how it is over here for real. I’m so glad that you got to experience it for yourself, together with your beloved Honey. And vino! Yes we had such a wonderful time in Italy and the days we spent exploring with you, Marco, and Bestia were easily the highlight of the trip. Oh, no problem, I just asked you because I’m quite sure I wouldn’t recognise it either. 😀 There were too many!